Hello everyone, and welcome to the week! It’s time once again for our look back at the noteworthy updates of the last seven days. It’s a bunch of heavy-hitters again this week, but that hasn’t stopped the smaller devs from doing their thing. Of course, you can keep an eye out for updates yourself using AppShopper Social (Free), the watchlist in the TouchArcade App (Free), or by participating in the TouchArcade forums, but this weekly summary is here to fill in the things you might have missed. Let’s dig in! Crossy Road, Free Crossy Road got not one, but two updates in the last week. The first added six new characters including a snake in a ten-gallon hat, a vintage computer, and a few others. The second update added Pac-Man characters to the game, including Pac-Man himself, four of the ghosts, and a special Pac-Man version of the Crossy Road chicken. Weird, but cool. 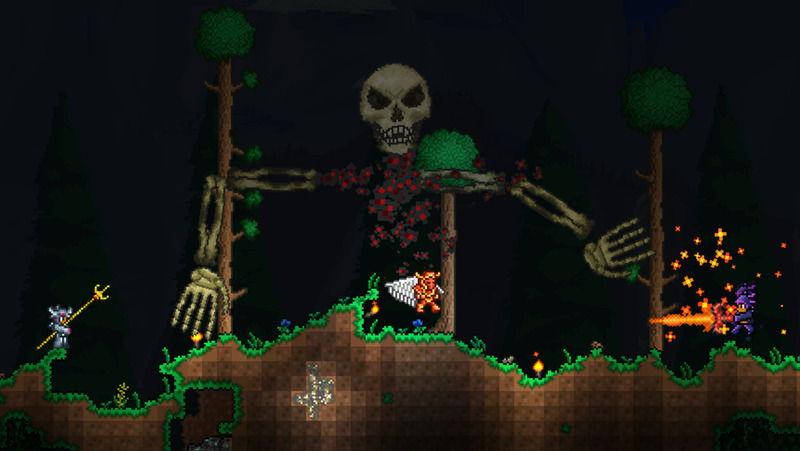 Terraria, $4.99 Terraria has updated and as usual it’s a big one. First up, there are tons of balance changes that bring the game more in line with the PC version. Generally speaking, it’s a more difficult game now. That’s not all, though. Auto-aiming has been improved, zooming is disabled while using the virtual stick to prevent accidental zooming, and a whole bevy of bugs have been smashed into little pieces. Hitman Sniper, $0.99 Hitman Sniper had a weird week. It got an update that broke the game, Square Enix pulled it from the App Store, then got another update that fixed it whereupon it was returned to the App Store. This all happened in the span of about 48 hours, which goes to show how efficient 47 is. Anyway, this update that caused all the brouhaha added Everyplay support, a new enemy type, a new rifle, inverted aiming options, support for playing your own music, and more. It’s actually a pretty slick update now that it doesn’t break the game. It does, however, seem to wipe out some people’s save files, so be careful. True Skate, $1.99 Are skate shops still a popular thing? We had one in my small hometown for a while in the late 1980s and early 1990s, but it didn’t survive much past the TMNT boom. Well, that small town may not have one anymore, but True Skate does. You can choose from more than 50 decks representing 9 of the best brands, with True Axis promising more to come. This update also adds mission hot spots, increases the maximum credit limit, and made decks a bit more robust. Pet Rescue Saga, Free Villainy is afoot once again as Pet Rescue Saga get another update. The new episode is called Pinball Park, and presents 15 new levels as the pets are trying to get onto a pinball leaderboard. I guess this means Dave The Puppy is now a pinball wizard. That makes me hate him and the throne of lies he sits on even more. AG Drive, $2.99 Friends, this is a seriously great futuristic racer. If you’re not on this one yet, get on it. Let me give you a hand by telling you about this latest update, which adds support for MFi controllers, a new track, and some new tier 2 race events. I’m so happy to see this genre surviving somewhere, because it feels like the old big dogs of futuristic racing can’t justify making new installments in their respective franchises anymore. Doctor Who: Legacy, Free I’ll level with you all: when Doctor Who Legacy came out, I wrote it off as a quick-buck cash-in, and it turned out to be one of the wrongest notions I had in that entire calendar year. This is a game that does fan-service right, and its newest update only underlines that. First of all, there’s the new IAP expansion pack, Sonic Adventures. It costs $9.99, and rather than chronicling the adventures of the Doctor and Sonic The Hedgehog, it’s actually a story about racing across the universe collecting Sonic Screwdrivers. Sorry, fanfic authors. In terms of free content, there are new Kids Area levels featuring characters from the Doctor Who animated series. I haven’t seen that series, but I like to imagine it features a sassy skateboarding Dalek who wears a backwards baseball cap. Exterminate… to the extreme! Uncanny X-Men: Days of Future Past, $0.99 Days Of Future Past‘s new version adds a lot of things, including new areas, a new ability tree system for your mutants, improved physics and enemy AI, and, uh, IAP. If you already bought the game prior to this update and your unlocked characters are now locked once more, hang in there. The developer assures us it’s a bug and it will be fixed. 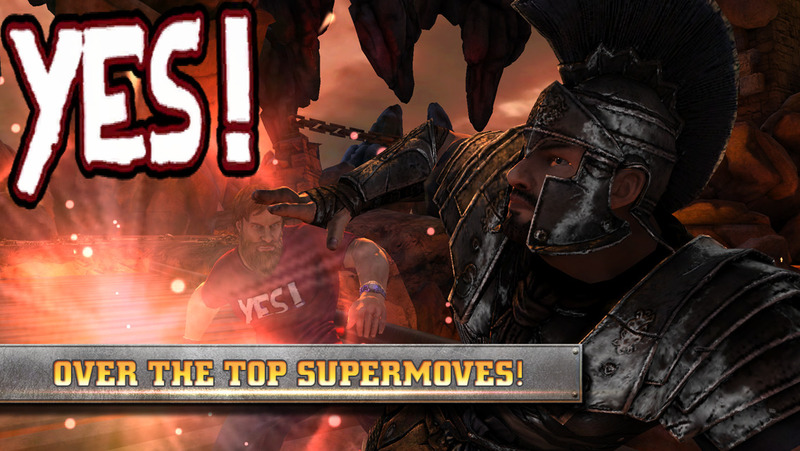 WWE Immortals, Free Hey, how about that Summerslam, hunh? I’m writing this before the event, but you’re reading it after, which is always weird. But I’m sure it was good! As WWE Immortals often does, this update brings in a tie-in event where you can earn gear related to this month’s PPV event. It also adds two new WWE Superstars, Seth Rollins and Batista. They’ll be distributed in upcoming challenges, but you can pay a ridiculous amount of money to open them up sooner via special early access IAP packs, if you’d like. Crusaders Quest, Free Crusaders Quest piles on the content in its latest version. There are five new heroes, 12 new Soulbound weapons, and numerous improvements and fixes. Should be plenty in there to keep its many fans busy for the next little while. I still feel like that title needs an apostrophe in there somewhere. I’m probably going to mention that every time the game appears here, without even meaning to. Modern Combat 5, Free Modern Combat 5 continues its never-ending quest to be iOS’s answer to Nintendo’s Style Savvy. We’ve had customizable masks before, but now you can customize your entire set of armor, too. Mix and match pieces, or put together a whole set to get special perks. Will you be the prettiest soldier on the battlefield? This update also adds a new map called Vantage that takes place in Tokyo, which is kind of interesting, I think. Kingdom Rush Origins, $2.99 The new update for Kingdom Rush Origins adds some new stages, a new hero called Wilbur The Engineer, four new enemies, and a new boss named The Pit Lord. He just totally lords over those pits, everyone. He sees so much as a shallow depression in the ground and he’s all, “Mine!" Bad Piggies, Free Look, maybe it’s just me, but I don’t see what’s so bad about the piggies. Like, oh no, they’re stealing eggs from birds. Friends, that’s just about all of us, vegans aside. These pigs are merely assuming their place in the food chain, and when they’re not busy eating, they’re thoughtful, resourceful, free spirits whose inventiveness has allowed them to build contraptions very few limbless organisms could ever imagine building. Anyway, the latest update to their game adds 15 new levels, a new part to play with, and a new power-up. An extra bit of free fun, no timers included. Brave Frontier, Free While I appreciate the work some developers put into the stories of their social RPGs, the truth is that sometimes you just want to get going and play. Brave Frontier finally acknowledges this by adding the ability to skip cutscenes, a feature literally every game should have. The developers have also done an overhaul on the Overdrive system, and tweaked the game to allow Brave Burst and Ultimate Brave Burst effects to stack. Alphabear: Word Puzzle Game, Free Alphabear is a bear-y good game, but there are certain aspects that make you want to crawl in a dark cave and hibernate. The difficulty curve was especially grizzly, and the cooldown timers on special bears certainly had fans polar-ized. Plus, while collecting bears was a roaring good time, there simply weren’t enough of the little cubs. Well, if you found any of those things unbearable, I’ve got good news for you with this update. Did Spry Fox handle all of those issues I just mentioned? Does a bear poop in the woods? 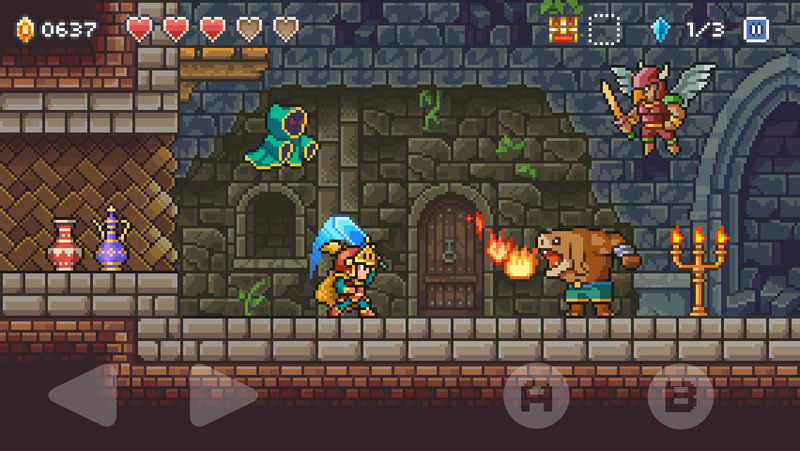 Goblin Sword, $1.99 It’s version 2.0 of Goblin Sword! You know what that means: tons of new content to enjoy! Enjoy a new chapter called Shadow Temple, offering up a whopping sixteen new stages, two new bosses, tons of new enemies, new gear, and more. If you’re having trouble unlocking everything, you can hit the developer’s Facebook page and get a password to unlock every chapter. How could I not give this the coveted Update Mondays Most Spider-Mans Of The Week award? Defeat your enemies, then drink some metaphorical celebratory vermouth from their skulls to toast your victory! Hearthstone, Free Hearthstone is kicking off its Grand Tournament very soon, and this updates primes a bunch of things in anticipation of that. There’s a new card back, the Tournament Grounds, which you can earn by reaching rank 20 in ranked play during August. There are a bunch of new quests, as well. Additionally, Tavern Brawl victories now go towards earning the Heroes Of The Storm mount award, a bunch of bugs have been addressed, and UI improvements have been done. Apocalypse Meow: Save the Last Humans, Free Not every update is a big one, but that doesn’t mean it can’t be useful or important. The awesome shooter Apocalypse Meow made just a few changes this time around, but they’re all welcome. First of all, you can now listen to your own music while playing, which really should be done in every game unless there’s a very compelling reason not to. Next, Sector 4 got a tiny tweak to allow you more time to collect goodies after smashing the boss. Finally, a few bugs needed to be fixed, and a-fixin’ has transpired. CSR Racing, Free CSR Racing always has neat new stuff with each update, and this one is no exception. This one adds four exclusive cups each dedicated to a single legendary car. The line-up includes the Jaguar C-X75, the Koenigsegg One: 1, the Mazda Furai, and the Lamborghini Veneno. If you win them all, you’ll go on to the finals, where you can win a Ferrari FXX K. Nice! This version also adds new relays where you have to take down multiple opponents in succession. Good luck. Zombie Hunter: Shooting games, Free To tell the truth, I’m pretty tired of zombies, but it seems like I’m still in the minority. Zombie Hunter Apocalypse is just one of many popular zombie-themed games on the App Store, and it recently got a hefty update. Just by logging in, you’ll get a free M16 weapon, and it’s just one of a bunch of new weapons. The Arctic Z map has been overhauled, as well, and the mission editor has seen some loving to make it easier to use and more versatile. Superzombies have also been balanced a bit, but you’d think with a name like that, they’d have carte blanche to just be ultra-powerful jerks. Anyway, you can shoot clown zombies in this game, and that makes it okay in my books. Previous PostPrevious ‘Pokemon Shuffle Mobile’ Has Just Hit The Japanese App Store!